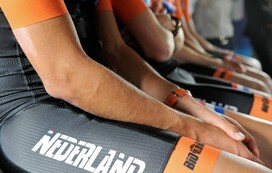 Race organizations, riders, teams, federations, media - all of them make use of services and products of Cycling Service. Our company functions as a professional intermediary towards bringing about fruitful collaboration and partnerships in the world of bicycle racing, no matter where in the world. Our mediation, counsel, support, and online software all create a climate of top-level sports professionalism in which all parties, each with its own background and goals, can achieve optimal results. Our office is a world leader in creative mediation, bringing organizers, teams, racers, and leagues closer together and engendering a culture of professionalism in bicycle racing. As an organizer, you see a lot of unwise decisions. 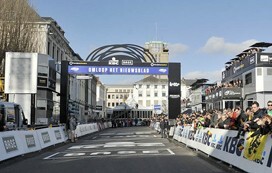 Agreements with teams must be drawn up, racers unions need to be there, the media want to get the scoop on the latest behind-the-scenes story, the planning and execution of the parcours and start and finish lines is an unprecedented but massive operation and afterwards there is more admin to deal with. Could it be made simpler? Of course! With the support of our digital module, Cyclotivity, we simplify the process hugely. Cycling Service is what you need. Administration, drawing up contracts for criteriums, disbursing prize money. These are among the less enjoyable, though no less important aspects of bicycle racing for the riders. Cycling Service is in among the riders and knows what they need in order to keep the work outside of the race to a minimum. With Cyclotivity, our organization makes managing contracts simple and comprehensive. Agreements are easily accessed on your computer or through our app, and bonuses are quickly paid out among the assistants, captains, and staff. 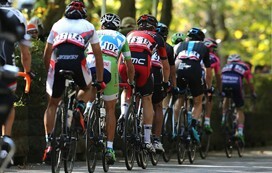 Cycling Service has its eye on the international sporting media. Journalists from Spain to Japan, from the US to Argentina are all represented in our database, Cyclotivity, our digital program. There Cycling Service is able to offer sports journalists one central portal for media accreditation during race events. With just a few steps, media are able to register. Additional features, such as requesting a parking permit, are easily provided through this system. It just doesn't get any easier or more efficient than this. Cycling Service operates in the heart of the world of racing. We connect with racers, team managers, race organizers, and the representatives of the largest umbrella race organizations and leagues. What does this mean for your federation? Well, with our experience and engagement, we are an invaluable advisor, instrumental in the future of worldwide bicycle racing. We raise our sport's level of professionalism and transparency and above all we make things a bit easier for everyone working in the world of cycling with our software. For your federation too! 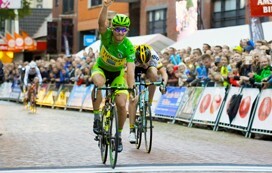 As we all know, after the Tour de France there is a lot on the calendar: criteriums. Cycling Service mediates between the organizations and the riders and endeavours to have the absolute stars on the starting line. In the world of bicycle racing, there is no other mediating organization that knows the market as well as we do. Cycling Service is a market leader and lures the winners of the different Grand Tour jersey competitions to these criteriums.